Focus Sessions: Happy New Year!! [This question was sent to me, and it felt natural to answer this before I continue on with what I see in 2017]. A. Intuitives can be very accurate. The real challenge is to determine and understand the information you are given. The more practice you have at understanding your "symbol dictionary" the better because you really don't want to add your own fingerprints to the message. The goal is to relay what is given in a clear way. I often see things in terms of symbols, but the message can be literal too, so I do my best to keep the message as pure as possible. Sometimes the message contains an element of emotion (fear, panic, joy), so I include that or let that guide me as well. When intuitives put the intent to find an answer, we also see things pertaining to the motion that is already set forth. One thing that can influence that motion is free will, or other interventions. A sequence of events can be laid out, but if someone or a group of people goes against the natural flow, the result can be different or change. In those cases, or in reading long term events, an occasional "checkup" to see if anything has influenced the outcome may be needed. Q. Hello, Lynn. It's the end of the year and the media always has lists for the 'best of the year' and many business people try to predict events and trends for the new year. Have you ever considered making a list of predictions for the New Year? It would be interesting to see. I see it fluctuating at the beginning of 2017, taking a slight dip after Trump is sworn into office, and then rebounding. Gold / Silver looks to slowly rise and start to gain more momentum in August / September. I get other forms of electronic currency gain more popularity. The dollar starts to be phased out in such a way that people don't realize it. This REALLY starts to show itself mid-year (more and more places will prefer credit of cash). The banking system will offer incentives to trade in "dollars" for something else (not sure what that means yet). People voluntarily handle less and less cash, (and the banks make it looks like their idea in the name of convenience). China will emerge as a financial power. Trump starts to heal the relationship between Russia and the US. The US continues to have a love / hate relationship with China. (China will reject some of the US policies, and trade will be influenced, but I cannot see to what extent). Tensions with Mexico will rise, but Mexico realizes they need the US so they tolerate it (unhappily). Relationships with the majority of other countries appears better than the social divide on the US soil. Trump wants to bring people together, but the influences of the opposing parties won't let things rest out of their principles. This is a huge challenge for the upcoming administration. More and more people are waking up and are open to new ideas. The collective conscious is becoming stronger than ever. People are getting better at recognizing their own intuition. A spiritual divide starts to occur (those that are awake are REALLY awake, and those that don't want to see things out of fear or discomfort feel very stuck, but still forging forward). Everyone moves forward, but some are slower to grow than others. Everyone has their own timeline, and the subconscious in general is waking up (ready or not). Chemtrails aren't going away, but the awareness increases. I see some kind of protest in relationship to the spraying (looks to be in the southeastern part of the US). I see a hurricane hitting the eastern part of the US around late September. Please head warnings when they announce to evacuate. I get that a man-made weather event will happen in the Caribbean and Japanese area around the same time. This won't be a coincidence. Homeopathic remedies and healing are on the rise and start to really threaten big pharma. Big pharma really pushes back on the FDA to regulate vitamins / minerals / herbs (and this causes a real upheaval). Lots of "secret talks" occur trying to institute a new gold standard (similar to the Shanghai Gold Exchange, but more world wide). Middle eastern countries try to make the purchase of oil in gold (some kind of a phase in program). There is some social disturbance in Australia (can't tell what it is over, but feels vaccine related). Putin emerges as a powerful leader (he isn't going away). In fact, many people are distracted by what China is up to, but in reality they should have their eye on Putin. Then I hear Trump say "Keep your friends close, but keep your enemies closer" and that looks like what he intends to do. And that is all I have at this time. Thank you. Love and light- HAPPY NEW YEAR! Obama will not disclose alien presence on Earth? I recommend "Dying To Be Me" by Anita Moorjani. It's an eye opener and will make you look at life differently. Love, love, love the insights!!! I read one of your earlier posts (last year I think?) where u explained to a client where the Australia govt will target the poorer communities by making them sick via vaccinations.. Something about if they needed food stamps or govt assistance they were required to get so and so vaccinations, and it was how they got sick. I am going to try and change my savings from all cash to gold/silver by July. I am noticing more and more people are becoming spiritual or aware of what the govt is doing (gmo and chef trails) while the others get irritated everytime they hear about it. Everything else is fascinating too! love your readings! This was a great reading and should become another annual tradition for Lynn. It sounds pretty optimistic on the whole as if things seem to be moving in the right direction. It was interesting the part where Lynn said relations with other nations improved which is not the case among groups in America. I know so many friends who got angry or completely broke off with me when I told them I preferred Trump it was scary. Even the level of their passion over this last election and hatred for Trump is incredible, as in going to Washington to protest the inauguration, yet these same people never marched or got excited over our going into Iraq with Bush Jr. or any other issue. I really feel between TV and Chemtrails 'they've perfected mind control and hope people wake up to realize they're being played to fight each other instead of working together to solve problems. 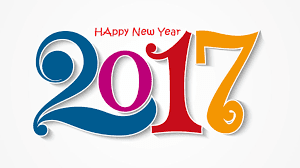 Here's wishing a happy and good 2017 to everyone! Thank you so much for this year end reading, Lynn! I am really struggling with the spiritual divide that you mention. I feel like the split is more than just from increased awareness, but also that those who are not willing to look at things differently are digging in their heels and moving backwards...thus enlarging the rift. Their fear is leading them to endorse censorship and war (this being among my "liberal" friends), and they have resorted to bullying and shaming win their arguments. It is confusing for me to see this, and deeply saddening. Thank you Lynn for this round up. Regarding the people who don't want to wake up and are dragged forward anyway - will this lead to a rise in bizarre, crazy, 'out of character' events with all that shadow stuff rising to the surface uncontrollably? Happy new year to you and all the other readers. There's been so much bile and rage flying about on the t'interweb this year, it is a credit to Lynn that the discussions here have (mostly!) been respectful and open minded, certainly compared to a lot of other sites and people who want to see themselves as tolerant! May 2017 be the year we all turn a corner at last. You suggested that in the not so distant future we will be able to reach higher levels of consciousness. Does this include being able to reach our Guides and having precognitive abilities or is it just living a more balanced life ? Will reaching these new levels be easier when everyone is moving in the same direction? When you made the comment about the weather events in the Caribbean and around Japan, I immediately thought of Cuba / Venezuela and the Philippines / North Korea. I wonder if it would be possible to create a hurricane in those areas to damage their economies and weaken their regimes? If our government can manipulate the weather this well, we don't need wars. Is there any motivation behind the rise of gold in late Summer? Will it be supply and demand or a political/economic event? This was interesting. Many thanks for the time you give to do this. What about Mosul and Raqqa? Do you see them being liberated from ISIL soon? Thank you, that was interesting. I hope the awakened focus on the most positive timeline of what you have outlined, Lynn. We do have a say. On the money, that sounds so right, trying to easily shift the currency, but still there is the issue of devaluation. We shall see. Also I start to think, what if things are all digital and some emergency occurs and you can't use your card fo a while? It would be the beginning of a local barter or coupon system probably. Jeanne Mayell and her meditation group is constantly making and updating predictions that go pretty far into the future. Anyway, for this year she had said that people will start to move away from federal help to using local community action groups that are more in tune with what the local needs are and can supply resources more quickly and efficiently. This would be the start of the moving away from Washington based authority to local or regional independence. Continuing on that thought, we have heard rumblings of states wanting to separate from the federal govt (secede) and there is a thing starting now by the states called nullification. This is fascinating to me. Kind of like a soft revolution. This is where states refuse to uphold a federal law (you might say the medical marijuana laws are the first of these kinds) and get away with it. The fed govt then penalizes the state by taking away tax money for projects, but then the state withholds a portion of their revenue due the fed govt to compensate. You can see the trend away from the control of the fed govt. and back into the hands of the people. I kind of ran on, but just to show that there is so much change happening. Don't mean to hog the blog, but just one more thing. Be careful of blaming Russia for the hacking or interference. It is SO HARD to determine the exact origination of a hack. It can be disguised by going through proxy computers around the world (people who own the computer don't even know it is being used) before it finds its target. Then to trace it back is nearly impossible and it takes a lot of time to do it, so if someone is saying the next day it's so and so that did it, your alarms should be going off. I believe Lynn has already mentioned that Putin resists the PTW so that right there should give you a clue as to what's happening. As an aside, I love the new phrase "fake news" that is a great deterrent to anyone wanting to find out if the story is true or not. When I go to research these stories, I do find there is truth to them but a lot of the evidence has been wiped from the web. Luckily nothing is really lost here, people are taking screenshots and posting and reposting. My love is for the Truth and that is what I constantly seek. It's a shame that it is so hard to find. Better get my psychic senses rolling. I was hoping Lynn would say something about the strength of the dollar for 2017. Would it go up or down against major currencies? Another year to count my blessings and Lynn, you’re one of them – Bless you! Thank you for another year of interesting reads, guidance and wisdom! And my heartfelt thanks too, to the many comments here. If I need to feel upbeat for 2017, I just have to come here. I have enormous respect for Putin, which simply continues to grow. His response to Obama's pettiness has become one of the most pristine examples of true class. I would absolutely love to sit down and talk with this man. I hope Big Pharma goes to hell. Had a "shift" last night around 2:30 - 3:30 a.m. PST. Very strange. Saw my route for the remainder of my life. Interesting. Weird. Cool. Many, many life/energy/spiritual beings around us all. We are all greatly loved and protected. 2017 will be great!! The best of New Years to everyone!! Thanks for all your hard work on this forum, Lynn. Hope kids and hubby have a happy year! Alex, the dollar is at a 13 year high against the Euro and is doing equally well against the Japanese Yen. It can't continue climbing like this, but it's not going to crash anytime soon. Happy New Year to Lynn and everyone else. I hope 2017 is good to you. Thanks for the reading and happy new year... I'm honestly starting to like Trump, my group did remote view him the other day and we weren't the only ones there...lol... Puton isn't are enemy, Pharmaceutical and oil companies are. Liked what you said in medical and health, doing a lot of research on ormus and mono atomic gold now. I have a friend with an autistic daughter, may see it helps her. Does anybody know if that wave ever hit us??? Happy New Year to everyone, may 2017 be a breath of fresh air for us all. Sending Peace, Light, Abundance and Truth to each and every person all over our Planet. First I wish everybody a happy and good 2017. Wow, alot to look forward to and dig deeper into. Where are we in terms of disclosure? Are we close or did they postpone. If we are spiritually getting stronger together what do you see in regards ET intervention for this year. I just like this kind of subjects. Putin is a good guy. No leader can be trusted fully, but he is an ally of those of us who are awake in that he sees what the Rochschild/Rockefeller cabal has planned for the world and he'll fight them to the death. Trump knows this intuitively. He does not see Putin as an enemy; far from it--although he'll be careful in his dealings with him. The money disappearance is part of the evil globalization agenda. We need to do what we can to discourage it unless we all want to be wearing the Mark of the Beast sooner rather than later. Big Pharma has killed over 50 holistic doctors and practitioners. Our vitamin/supplement freedom is our last defense against the Unholy Trinity: Big Medical, Big Pharma, and Big Insurance. We need to fight them with every ounce of our being if we want to have any control over our bodies. Thank you all for the beautiful and thought provoking comments. I will plan on pulling a few comments for larger readings. Thanks again, and Happy New Year!! Priority Blog Request: More on Assange..
What is going on at the Antarctic? All artwork, photography, text and content copyright is owned by their respective creators. All original content on this site Copyright Psychic Lynn. Unless otherwise noted, all images are owned and copyrighted by their respective holders and are presented here for educational purposes within “fair use” terms of US Code: Title 17, Sec. 107. NOTE: REPOSTING IS FINE provided you cite said content coming from Psychic Focus. All rights reserved. *Disclaimer: Psychic Focus (Lynn) has not studied medicine,law and is not a financial adviser. You may ask anything, but understand all information comes to and through her from an intuitive perspective. The views and opinions revealed during readings are not necessarily the views and opinions of Psychic Focus (Lynn). Thank you. Copyright Psychic Focus Lynn. Awesome Inc. theme. Powered by Blogger.